I can’t stop eating warm berry desserts. 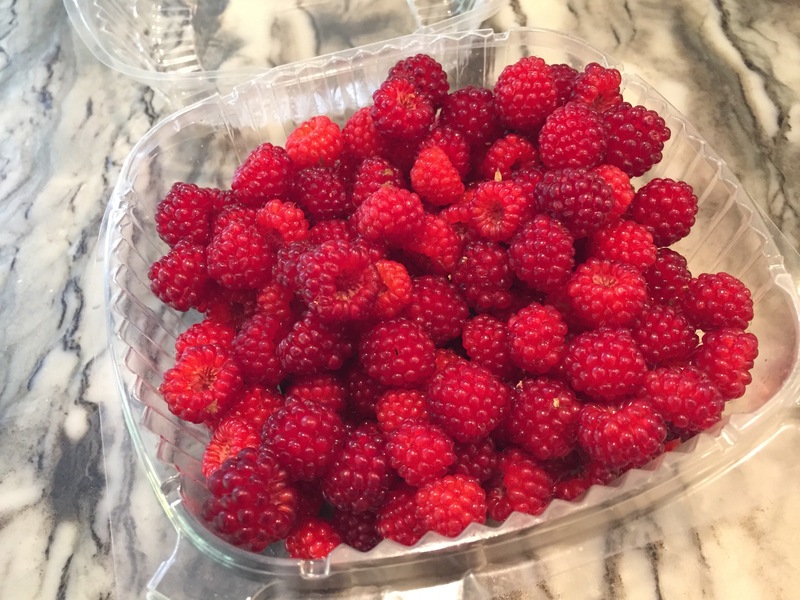 I know I should post a main dish, or a preserving recipe, but all I seem to do is make the simplest dinners of steamed corn, sliced tomatoes and zucchini pancakes and then I luxuriate in dessert because – well – BERRIES. I just love berries. 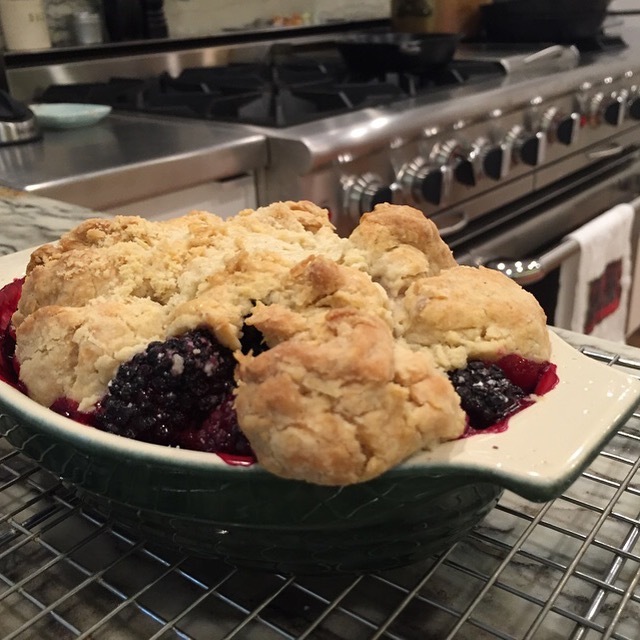 Let’s talk about blackberry cobbler. 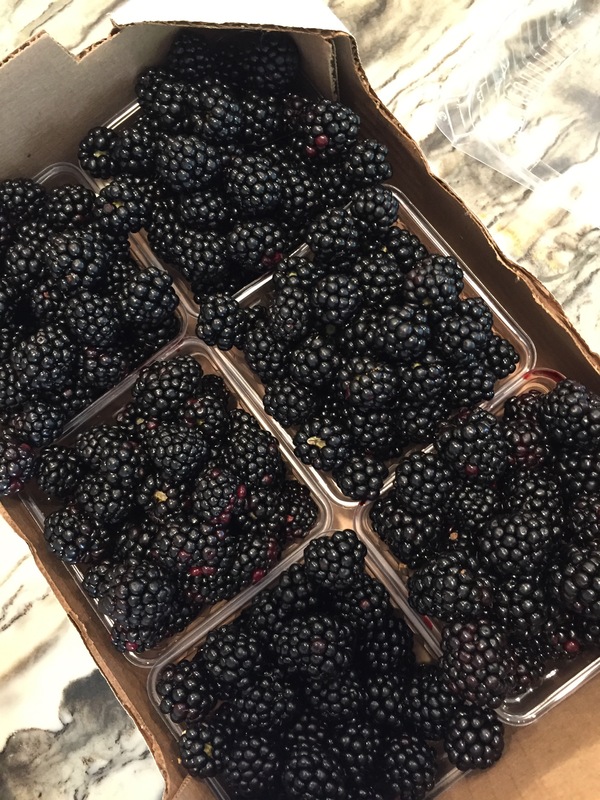 I came home last weekend with two raspberry half-pints, half a flat of blackberries, two containers of blueberries and local wild wineberries, a gift from farmer Sandra Kay Miller of Painted Hand Farm. (Sandy has great chickens and those pretty Arucana blue green eggs and wonderfully tasty lamb, goat and more. I see her most weekends at the Bethesda Central Farm Market.) There were so many berries. I made the blackberry hazelnut conserve from my book. We ate berries on granola and berries stirred into yogurt. And there were still berries. So many berries. There was nothing else I could do but make my favorite cobbler. It’s as easy as pie. Well, easier. Mix and match any berries. Grab pantry staples like flour and sugar and cornstarch and baking powder. Add sugar incrementally, starting with a whisper for super sweet berries. 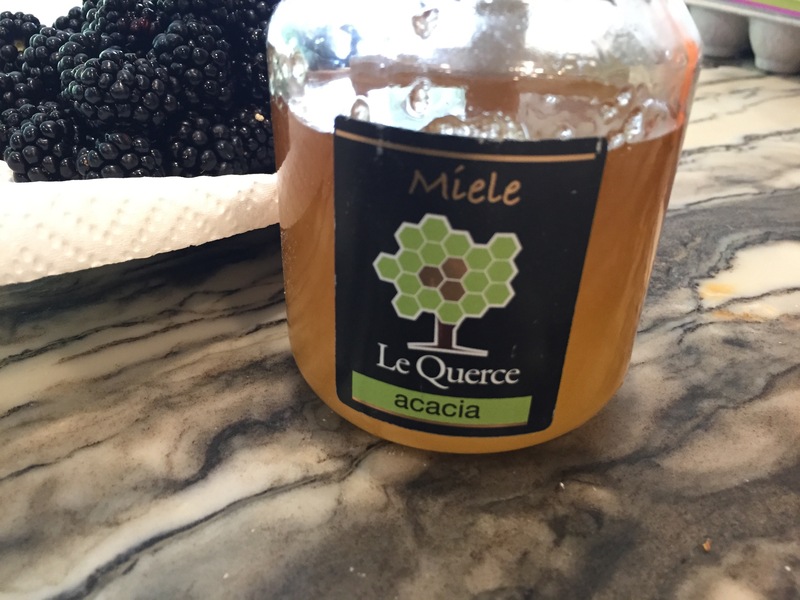 These blackberries were a little too tart on their own so I added a touch of acacia honey which made the berries somehow berry-er. A darker honey would be too invasive. Use a light hand when sweetening berries especially if they will be cooked. It’s summer and berry time won’t last forever. Get berry-ing. Join me in Vermont September 18-19 at the King Arthur Baking School for two days of jamming and baking. My only hands-on class in 2015. Preheat oven to 375°. Generously butter an 8-inch oval baker. In a medium bowl, combine the berries, cornstarch, sugar and lemon juice. Drizzle the honey over the fruit. Stir gently and pile high in the baking dish. Whisk the flour, baking powder and salt in a medium bowl. Pinch in the butter until the flour feels sandy. Add the cream and stir together (I use my fingers) for a wet dough. Dump the dough onto a lightly floured board and gather by folding over, patting down, repeat this fold no more than three times. The dough will be sticky and challenging. Pinch off pieces of dough and place on top of the berries. Try to cover most of the berries, but leave some exposed. Pour the remaining cream over the top of the cobbler and pop it in the oven for 25 torturous minutes while it fills the house with lovely fruity scents. Cool well before eating. Seriously. We add cantaloupe to the tomatoes and corn! Anything else is a side dish in the summer! We in Oregon and Washington love berry season! 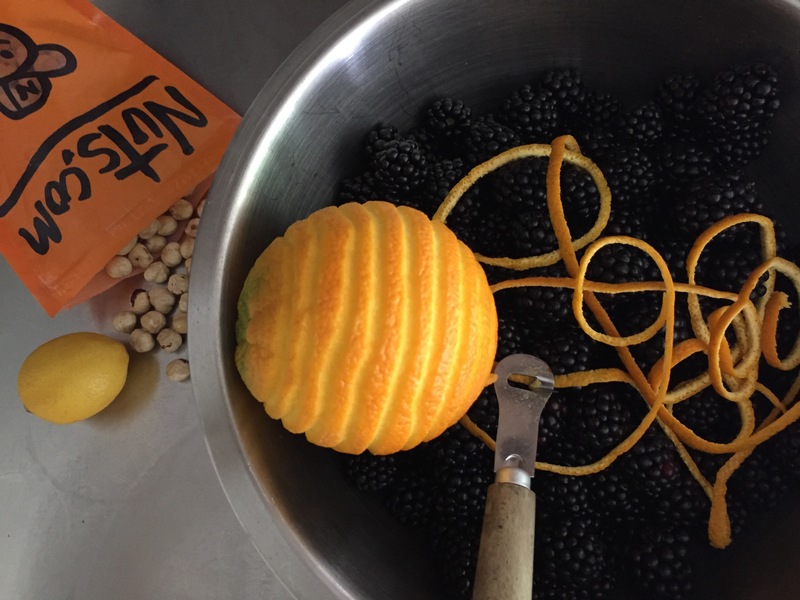 We all have a patch, they grow along the roads, berry farmers have roadside stands… Looking forward to trying your recipe. Yes, we know how fortunate we are to live in foodie country!